There are 12 reviews of Smoke for the Soul. Slight medicinal note on top, which is this perfume's only redeeming quality. A bit of tobacco. Mild, distant wood. "Weed" smell is minimal - more like a muddled memory from long gone, rock concert days. Overall pretty boring for me. You may be amused, you may be irritated, you may even want to get the bong out, but if you don't know what black hash smells like you won't get the joke. And that's all Smoke for the Soul is, a joke. A devastatingly accurate portrayal of black hash ; a mere prank, not a mature fragrance idea. Don't wear it going through customs! A richly decadent textured scent.the scent of a dark boudoir full of smoke and a malencholiac woman in a burgundy gown reclining on a plush leather chaise lounge.a head turner but not in a special way.one of those fragrances that people either love or hate it. it opens with a wallop of dirty,earthy green scent of eucalyptus and cannabis,breathing down the back of your neck.as this notes fades,theres a transitional smoky accord challenging scent but there is a certain beauty in its sharp edges.the dry down leaving behind an intensely woody warm.the result is ignites an obscure passion in the wearer.not an everyday wear scent. Cannabis smoke and cardamom are quite well executed in the opening notes, and the drydown is adding a rather generic wood aroma that is unfortunately much less convincing. this is verging ln thumbs up and neutral. opening up with a hard hit of wierd Pot pipe smell, the kind that you would get from the next day pot pipe. its not horrendous, and certainly says CANNABIS!! Wether you want to smell like that is personal choice, i happen to think the actual aroma is very complex and intriguing to smell. longevity on me doesnt seem to be worthy of other kilian offerings, and projection doesnt warrant the price tag. so yes, i do like this frag, and would probably buy a bottle if it were sub £100 but doubling the cost just makes it hard to swallow. This scent is giving me headaches. ive tested it against other scents, and with showering after and definently this frag. shame, but at least it isnt a frag id want to buy. 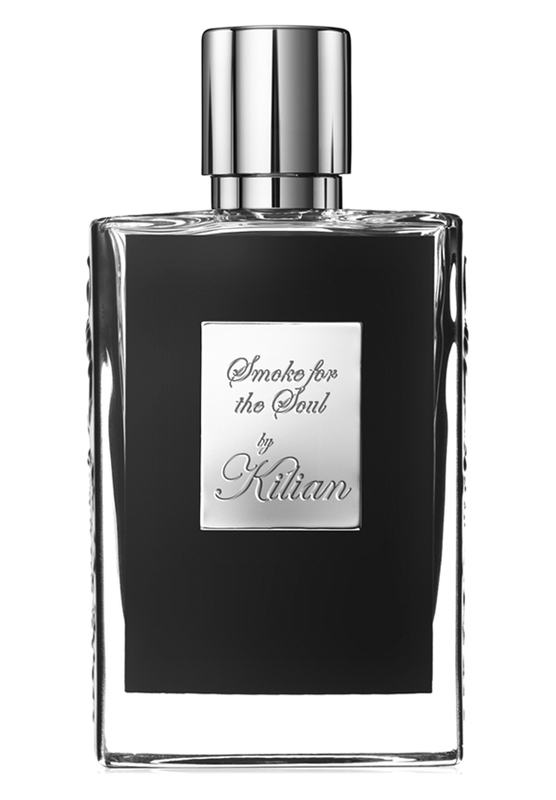 I'm seriously wondering what kind of pot the people at ByKilian smoked in their lives. A dry-woody, cardamom-driven thing that's closer to Voyage D'Hermes than one might actually expect. Just like with most Kilians, decent designer stuff sold at niche prices. Nice but eventually as useless as the *G* in Lasagna. There are no member images of Smoke for the Soul yet. Why not be the first?